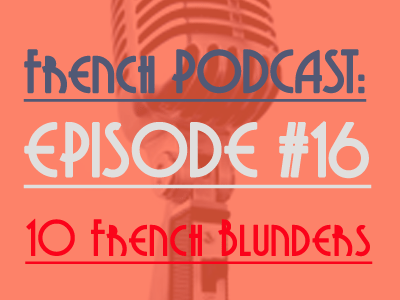 Here is the 16th session of Talk in French Podcast! You can download the podcast to your computer or listen to it here via iTunes. There is a button where you can download the Podcast. – Some information about French Culture. I explain about Bastille Day and why it is not what you think it is. I also share my view on why we should not celebrate this day. – Some French Words with an English Translation. Ideal when you cook, run, commute…. – A quick French Grammar Explanation. 10 false cognate and blunders make by English Speakers. The podcast has been approved by Apple so you can now listen the podcast on iTunes and give me an honest review here . I will create a french version of the podcast in the coming weeks, if you are a bit advanced learners you should enjoy it more. Actuellement = “at the present time”. Character = can also means this in english but it can be = un personnage. Eventually = finalement / tôt ou tard. Finally = enfin or en dernier lieu. Gross means grossier, fruste, or (informally) dégueulasse. Anglicisme. Ly = ment (e.g: parfaitement = perfectly). But especiallement does not exist in French. Fameux means famous. But it is rarely for someone or a place. We prefer to use the word connu (well-know) or célèbre . Fameux is a bit old fashion but you can use it in literature. 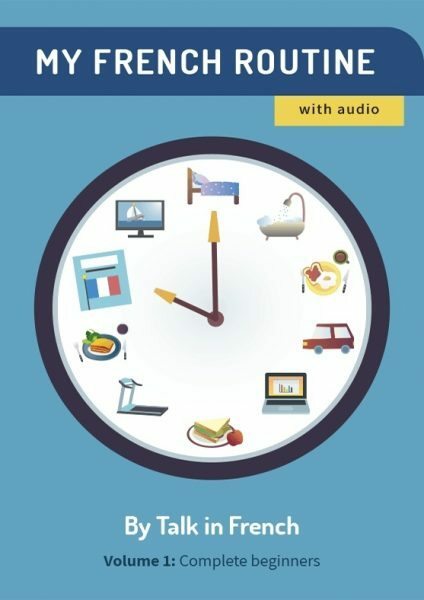 Listen the french grammar point for more information. Il ne s’est jamais mieux porté. – He’s never been better. Je t’y prends ! – I’ve got you! Que faire ? – What is to be done? Again your feedback are appreciated and a review on iTunes as well.